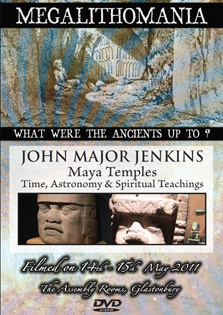 John Major Jenkins is an independent researcher who has devoted himself to reconstructing ancient Mayan cosmology and philosophy. Since 1986, John has traveled to Mexico and Central America over twenty times. Living and working with Maya groups while studying ancient Maya cosmology. John has authored hundreds of articles and many books, including Maya Cosmogenesis 2012, Galactic Alignment and The 2012 Story. His latest research explores the astronomical content of the now-famous Tortuguero Monument 6, our only Classic Period 2012 inscription.